Some days, it can seem like every force in the universe is against you. 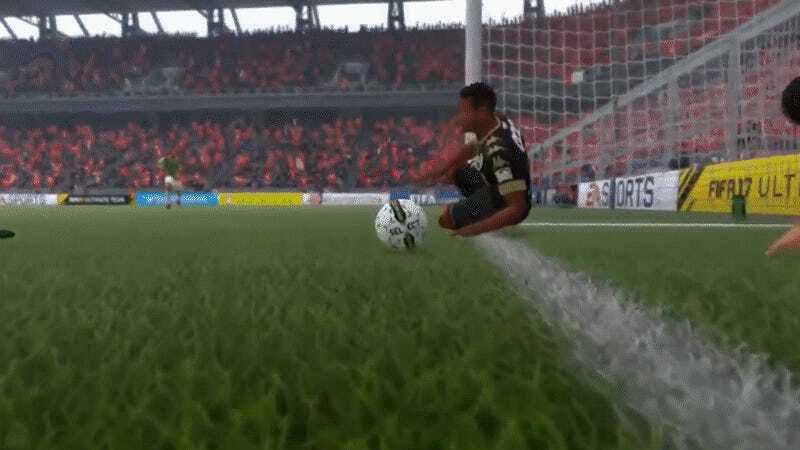 This FIFA player must have done something in a past life, as for thirty straight seconds, as he lands the most improbable non-goal possible in FIFA 17. MrMaskTV, a FIFA Twitch streamer, posted this clip earlier today, where a simple kick turns into a slo-mo symphony of failure. After a long walk down the white line, the ball is batted clear by the goaltender and sent back into play. Hopefully, the player went on to actually score some points.